© Kay Hall. All rights reserved. 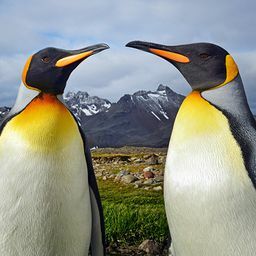 This is an image of a Gentoo penguin, which is found in the Antarctic Peninsula and in the sub-Antarctic. Photo was taken from a10 person Zodiac vessel, in the Antarctic Peninsula. 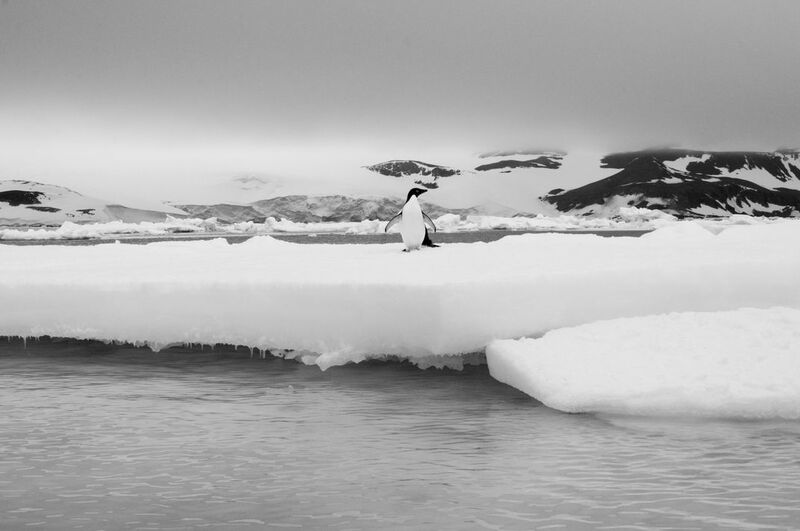 The penguin is standing on an iceberg, calmly observing the visitors in the Zodiac. Both the gentle solitude of the penguin and the striking dark and cloudy sky immediately commanded my attention. He looks like his name would be Timothy.